Time for action, not just words ...! The Tourism 2030 Countdown Clock will take you through the next three policy cycles of SDG implementation, following progress - or lack of it - towards the goals and targets, Join us in the Tourism 2030 Knowledge Alliance to meet common global challenges in multi-stakeholder partnerships, based on the value system of sustainable & responsible tourism development. Our flagship goal under SDGs 12, 13, 14 and 15: all tourism in protected areas world wide is certified green by 2030! We are inviting you to put yourself on the SDG Countdown Clock Map by joining in the Tourism2030 users community where all Tourism 2030 contributors will be listed so that we can see an international knowledge alliance of tourism stakeholders forming for timely collaboration on SDG implementation activities. 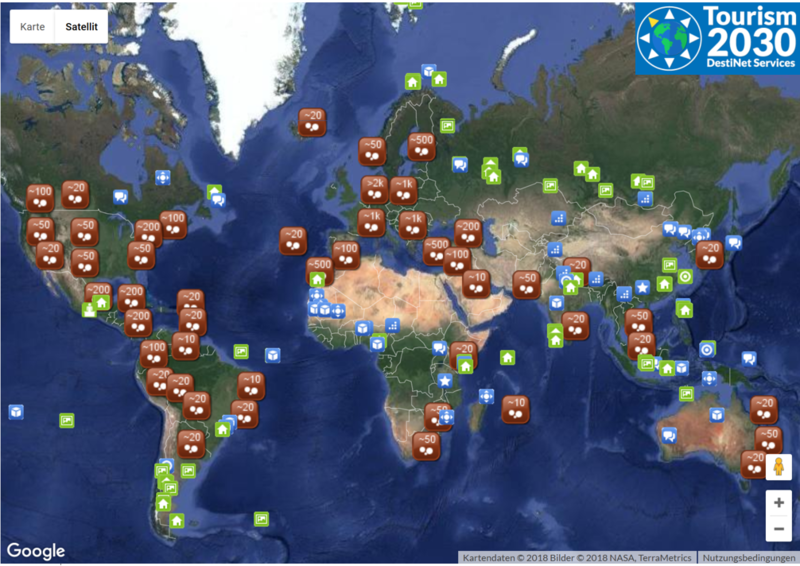 After signing up and logging in to add your contact details, you will appear on the Tourism2030 Users Community map. Everyone who signs up to the Tourism 2030 Portal will be able to both access and contribute to global-local sustainable and responsible travel and tourism processes. The Portal and Countdown Clock allows us all to be in contact with each other to establish partnership processes, to cluster our respective networks, and to plan common projects or run collaborative businesses in each remaining policy cycle. Your contributions will support the process of sharing quality knowledge and information that can give all of us the wisdom to act sustainably and responsibly, and advise or give guidance to others according to evidence-based good practice and value driven innovation. The Tourism 2030 Portal has several tools and services to support this work already developed. Please take a look around the tools, topics and elsewhere to see what interests you, and then get back in touch with us if we haven't already contacted you.